Your personality is based on four main traits. 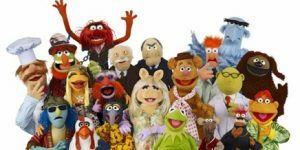 So you would be either E or I, F or T, P or J, N or S.
As the Muppets also have their own unique character traits, there is bound to be one Muppet you’ll identify with the most. 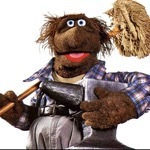 We thought it would be fun to work which Muppet that would be! Once you’ve figured it out, what’s stopping you from taking it to the next level and dressing up as your Muppet? You could even throw a Muppet party where friends dress according to their type. Fun, fun, fun! INFPs are idealistic creatures. They’ll be loyal friends with strong values, and they’re very caring. They get quite excited about projects, ideas, and other people. They’re also excellent at communicating their many ideas. If you identify with these traits, you’re probably Kermit. Kermit is a total dreamer, living in a fantasy world! All his friends know that he has their back, so he is a popular frog indeed. ISTPs are observant types. When they spot an issue, they are on it at the speed of light. Highly analytical beings, they’ll take apart each scenario to find the roots. It’s all about cause and effect, logic and efficiency. Sound familiar? Then you’re Scooter. This quietly confident character is one smart cookie. He solves all kinds of problems in Muppet world, casual and calm amidst the mayhem. INFJs are exceptionally caring, doing their best to understand others and to bring people together in community. They’re also very perceptive, with strong values that they adhere to tenaciously. If you identify with this, you’re probably Walter. Walter is fixated on doing good, and making smart decisions that align with his strong values! ISFPs are quiet (naturally), but friendly and caring. They’ll be the ones lending an ear and trying to resolve any conflicts that arise. They’re never forceful about their values, although they’re committed to them. They’re ‘live and let live’ types. If that sounds like you, you’re Rowlf the Dog. He brings humour to conflicted situations and resolves them every time. ISTJs are reserved and serious, but very dependable and loyal. They love order and are incredibly organised, prioritising work highly. If that sounds like you, you’re Sam the Eagle. One look at his face tells you how serious he is! Sam wants to restore order to the world, and he’s sure that he knows best. INTJs are original thinkers. They are focused, strongly motivated to manifest their bright ideas, and great at seeing the bigger picture. They’re also independent and a little skeptical. Their trust must be earned! If you recognise this, you are Rizzo the Rat. Hell bent on bringing to life every idea that pops into his head, Rizzo doesn’t believe in failure. He’s complex and smart – and usually successful! ISFJ s are quiet, conscientious and responsible. They pay attention to detail, and are quite focused on feelings. They aim for harmony in their home and working lives and are keen to keep to their word. If that’s you, you’re Beauregard the janitor. He’s friendly, open and unassuming. He’s more than happy being himself! INTPs are highly focused and analytical individuals. They take a scientific approach to life, waiting for evidence before making conclusions. They can be a little critical (and skeptical), but they’re always getting to the bottom of things. If you know this drill, you’re likely to be Dr. Honeydew. He doesn’t mess around when it comes to figuring out the details, applying his powers of logic and analysis at all times. ENTJs are the decisive ones among us. They don’t take any flack, and they’ll tell you straight. They have one eye on the future and are always doggedly working toward their goals. They’re quite opinionated, but they also have plenty of knowledge to share. 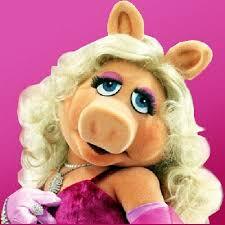 If you know that feeling, you’re Miss Piggy. She never thinks twice about blowing her own trumpet, speaking up, or setting straight any Muppet that crosses her! ESFPs are some of life’s most outgoing people. They are happy to be your friend, and happy to be alive. They spend as much time with others as possible, and they’re adaptive, open minded and spontaneous. They are great allies! If that is you, your Muppet is Fozzie Bear. Fozzie is a sensitive and caring Muppet who is there for his friends through thick and thin, happy to impart his great advice. ESFJs are the warmest of the warm. They will always try to do what is right, aiming to bring harmony to all areas of their lives, for themselves and others. They will fully apply themselves to this practice, and rope you in on their team if you’ll allow it. It’s all about co-operation for these friendly beings. If you know what they mean, you’re probably Clifford. 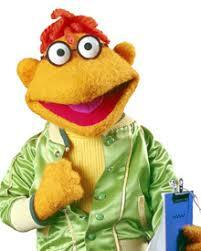 This mellow and kind Muppet is all about teamwork and meeting others’ needs. ENFJs are big on empathy. They are responsible people and highly attuned to the feelings and needs of others. They can see right through you! Fortunately, they’re only looking for the best in you anyway. ENFJs are oozing positivity and they only want the best for you. If that resonates, you’re Kermit’s adorable nephew Robin. He can only see what’s great about others, and all he wants to do is support and help them. How sweet! ESTPs are excitable creatures, and they love a new challenge. It’s all about spontaneity – to hell with rigid plans and theories! Life should be fun, right? If that makes sense, you’re Gonzo. Gonzo can’t get enough of fun, and he takes each day as it comes. A thrill seeker at heart, he wastes no time on worrying… after all, there’s fun to be had! ENTPs are the quick thinkers of this world. They’re alert and ready for conversation, always willing to say their piece. ENTPs are resourceful and unfazed by challenge. They embrace new concepts, using their sharp intelligence to work out what makes the most sense. Is that you? Then you’re Space Pig. He’s always exploring new worlds, and nothing puts him off his missions. ESTJs are utterly clear on how things ‘should’ be in the world. They have a strong sense of integrity and will not be disobeyed! These forceful characters are ready to impart their logic in a bid to create order in the crazy world they perceive. If you can identify with this, you’re Statler or Waldorf. The world better be ready to conform to their superior ideas! God forbid others don’t agree… they’ll be relentlessly showered in digs! ENFPs are very outgoing people. They’re sociable and fun, and addicted to change. They won’t be held down and are always on some new adventure. They make for caring, entertaining friends and they’re loyal to those they love. If those are your traits, you’re Dr. Teeth of Electric Mayhem. He’s all about cutting edge thinking, and he’s the wise one. His friends know he always has their backs! Whichever Muppet you are, you’ve got plenty in common with other Muppets. That means that a Muppet party will be a shindig to remember! Have fun!